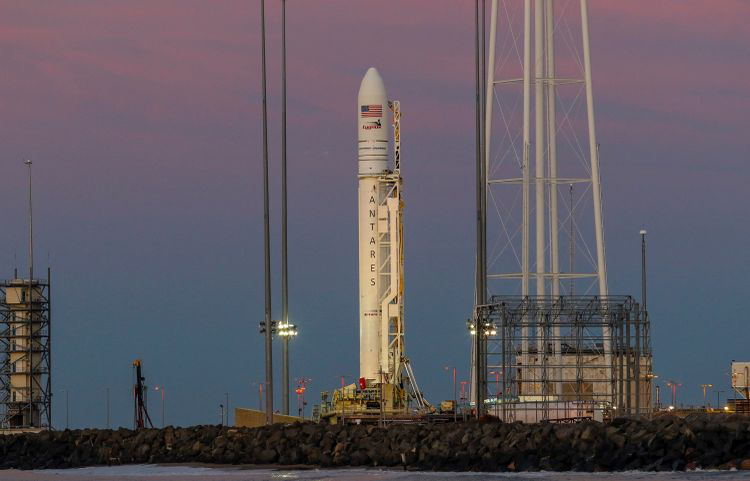 Northrop Grumman Corporation (NYSE: NOC) is all set to launch the company’s Antares™ rocket carrying their Cygnus™ cargo spacecraft to the International Space Station for NASA. Pending completion of cargo late load, final vehicle testing and acceptable local weather conditions, the launch will take place April 17 with lift-off scheduled for 4:46 p.m. EDT from the Mid-Atlantic Regional Spaceport Pad 0A on Wallops Island, Virginia, at NASA’s Wallops Flight Facility. The Cygnus spacecraft is scheduled to rendezvous and berth with the station on April 19, 2019. Northrop Grumman’s Antares™ rocket and Cygnus™ spacecraft are set to launch the company’s 11th cargo delivery mission to the International Space Station. The mission, designated NG-11, marks the 11th time Cygnus will deliver cargo to the International Space Station for NASA and will complete the Commercial Resupply Services-1 (CRS-1) contract. The company’s first launch under the CRS-2 contract is planned for this fall. For the NG-11 mission, Northrop Grumman will showcase a number of new capabilities including late load operations and a solo, long duration post-space station departure mission for Cygnus. In addition, the Antares medium-class rocket is set to carry its largest cargo load to date, transporting approximately 7,600 pounds (3,450 kilograms) of vital supplies and scientific equipment aboard Cygnus. Antares is carrying two secondary payloads on its second stage. These small satellites include one NASA-sponsored 3U cubesat called Student Aerothermal Spectrometer Satellite of Illinois and Indiana CubeSat (SASSI2) and 60 ThinSats. SASSI was built by students attending the Universities of Indiana and Illinois. The ThinSats program is a science, technology, engineering and mathematics outreach program sponsored by the Virginia Commercial Space Flight Authority for grades 4-12. These satellites were built by students from 70 schools located in nine states (Arizona, Connecticut, Florida, Kentucky, Maryland, North Carolina, South Carolina, Virginia, and West Virginia). After the ThinSats are deployed, students will collect and analyze data transmitted from their satellite for approximately five days before it deorbits and burns up in the atmosphere. Northrop Grumman names each Cygnus spacecraft in honor of astronauts and individuals who contributed to the United States’ space program. For the NG-11 mission, the company commemorates astronaut Roger Chaffee who was selected by NASA to fly on the first manned mission of the Apollo program in 1967. Lt. Commander Chaffee, and crewmates, Virgil “Gus” Grissom and Ed White II, all died in a tragic accident after a fire occurred in the space capsule during a simulation of the Apollo 1 launch. Unlike his crewmates, Chaffee had not yet traveled to space. The Cygnus spacecraft will represent Roger Chaffee’s planned journey to space in memory of those who made the ultimate sacrifice so that others could pursue their dreams of space exploration. On this mission the S.S. Roger Chaffee will demonstrate for the first time the ability to load cargo 24 hours before a scheduled launch. This capability allows time-sensitive payloads to be safely transported to the International Space Station. Cygnus will be grappled by the crew aboard the International Space Station at approximately 5:30 a.m. EDT on April 19, 2019. The spacecraft will remain attached to the space station for approximately two months before departing with up to 7,700 pounds (approximately 3,500 kilograms) of cargo for disposal. The removal of this disposable cargo is a crucial step in keeping the space station operational. Once Cygnus is unberthed from the station, it will reposition to deploy three cubesats using a NanoRacks deployer. The Slingshot CubeSat Deployer System is also scheduled to be installed by astronauts while Cygnus is docked to the station for another round of deployments once the spacecraft unberths. These companies are just two examples of how the Cygnus spacecraft can facilitate commercial businesses through the second phase of its resupply missions to the space station. After the S.S. Roger Chaffee deploys the hosted cubesats, it will demonstrate the ability to remain in orbit for an extended duration independent of the space station. This innovation positions Cygnus to be used as a future testbed for various types of hosted payloads. While Cygnus performs this free flight, it will maintain an undisturbed microgravity environment which could host a number of experiments and technology demonstrations in the future. Once this demonstration is complete, Cygnus will perform a safe and destructive reentry into the Earth’s atmosphere over the Pacific Ocean. The advanced capabilities demonstrated on this mission allow the International Space Station to maximize its potential as an orbiting laboratory and fosters a new economy in LEO. Including NG-11, Cygnus will have delivered approximately 30,000kg (66,000 lbs.) of cargo under the CRS-1 contract. Future Cygnus missions will continue to showcase innovations benefitting the space station, commercial partners and deep space missions.